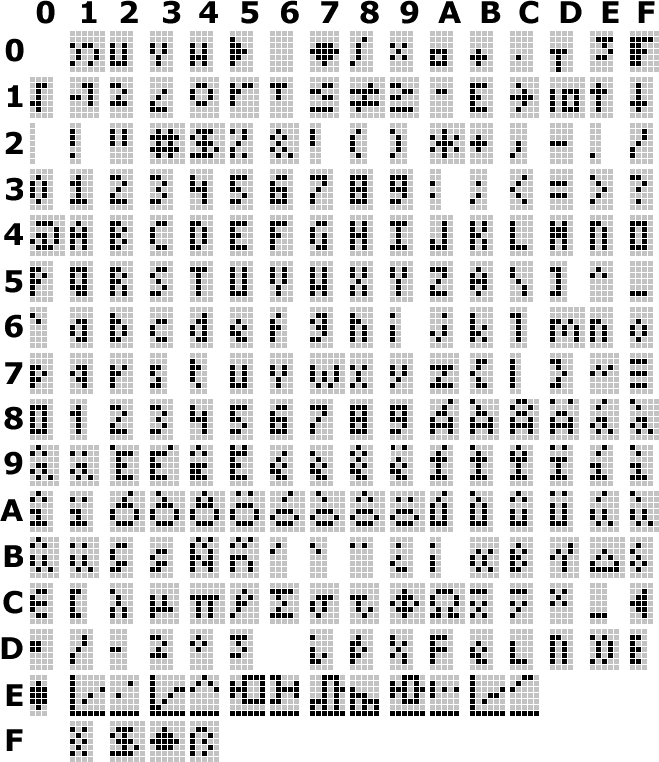 TI ASCII character map. Given in hex value. Thanks to Sigma for creating tables. Note: to get hex value, take the first digit to be the one on the side, and the second digit to be the ones on top. Ex: "A" is $41. Info from owner of image: "You'll want to lean back or your eyes'll start to bleed." -Sigma. You have been warned. 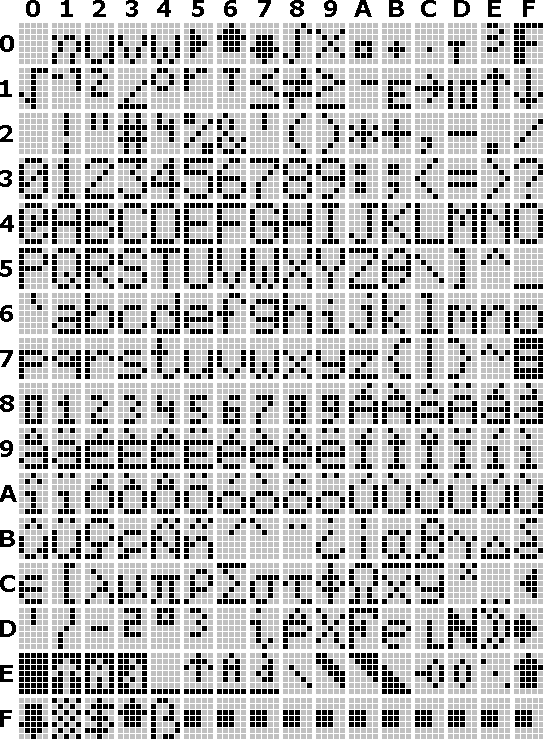 Note: get hex values the same as above. Not all characters have the same width.